The Bureau of Local Government Finance held a seminar “Training on Philippine Valuation Standard” in Tagaytay City on 13 April 10- 2018. The seminar was aimed to harmonize standards and promote acceptance from government assessors and private appraisers. Essentially, Philippine Valuation Standards is an adoption of international valuation standards in Philippine setting. Over 65 representatives of different provincial, city and municipal assessors all over the country participated the seminar. Two represents private appraisers-Gus Agosto and Lily Anne Bardago. During the seminar, the first speaker Provincial Assessor Ilbas said that in recent years government assessors carried out work on valuing properties through sales comparison and cost approach, but rare in applying income approach. He said that the country adopted the international standards in accordance with the Philippine setting. Appraiser Gus Agosto appreciated the training. 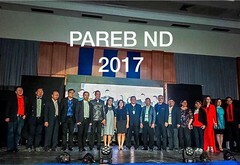 “It sharpen our knowledge on the Philippine Valuation Standards”. It merges the experiences of the assessors and private appraisers in their day to day practice of profession. The International Valuation Standards (IVS) are standards for undertaking valuation assignments using generally recognised concepts and principles that promote transparency and consistency in valuation practice. IVS 2017 comprises five General Standards and six Asset Standards. The General Standards set requirements for the conduct of all valuation assignments including establishing the terms of a valuation engagement, bases of value, valuation approaches and methods, and reporting.